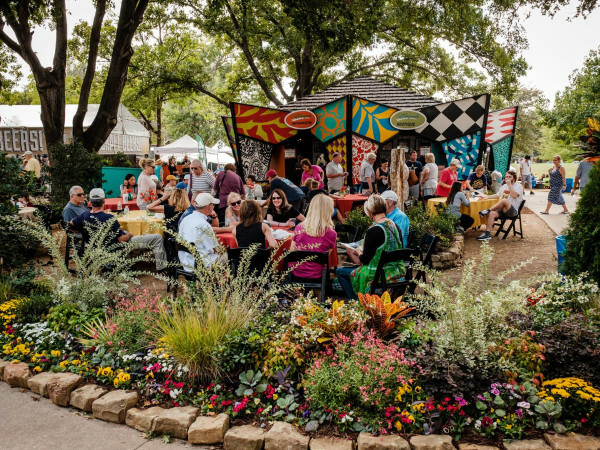 Taking its cues from Dallas' Klyde Warren Park, Plano is hatching a new deck park that would cross over Dallas North Tollway, in order to connect two major mixed-use developments. At its October 8 meeting, the Plano City Council approved a proposed park that would span the tollway at Legacy Drive and connect The Shops at Legacy and Legacy West. But don't start packing a picnic basket quite yet: The park is still a ways off and without budget, cost estimate, or funding, and won't move forward until after current recreational facilities have been updated and a feasibility study has been done. 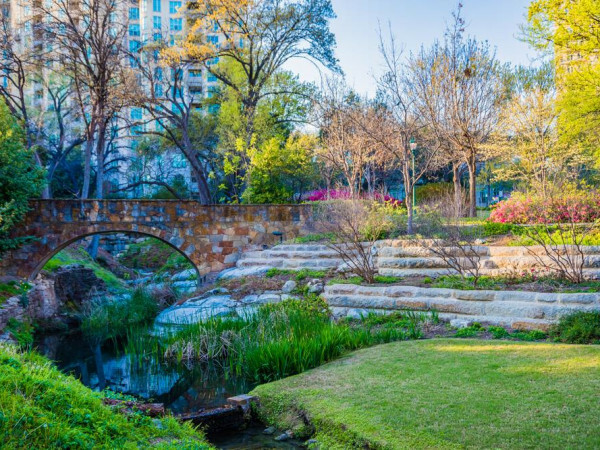 As part of the City of Plano's Parks & Recreation Department's Master Plan, the park would be on both the north and south sides of the existing Legacy Drive bridge over the Dallas North Tollway — one element in a broader plan to make better use of the growing Legacy area. As the master plan notes, that area of Plano is currently without notable parks or public green spaces. 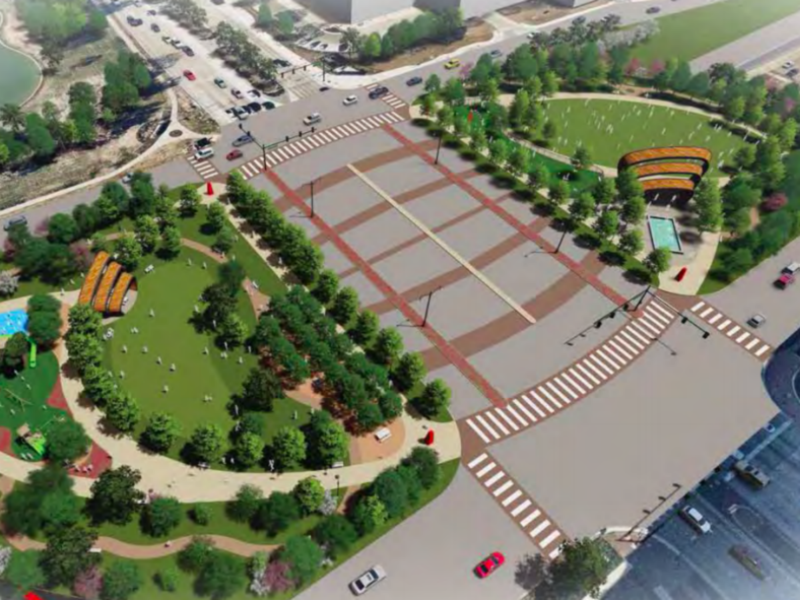 The deck park would, according to the plan, "create usable park space and create safer pedestrian connections in a highly developed area." In 2017, the city received funds to convert the existing U-turn lane into a pedestrian crossing over the tollway on the north side of Legacy Drive.